Alto saxophonist Nick Mazzarella, an Illinois native, gains more and more prominence in the expansive Chicago jazz scene. In addition to other recent projects, which include an album in duo with cellist Tomeka Reid, Mazzarella is the composer of Meridian Trio, a sturdy triangular cohort whose bottom vortexes are occupied by bassist Matt Ulery and drummer Jeremy Cunningham. 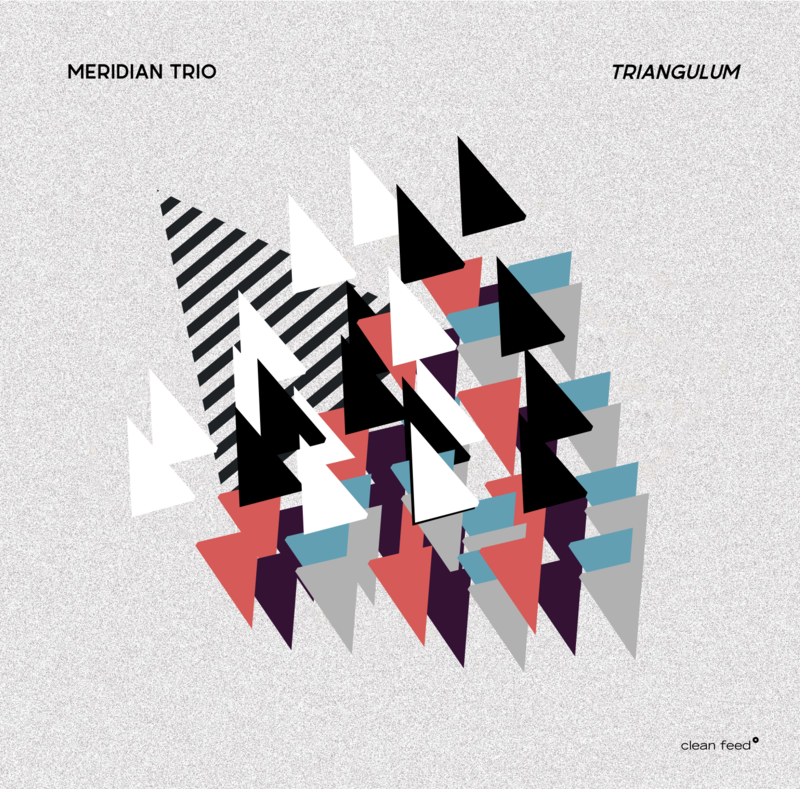 The malleable trio recently saw its debut album, Triangulum, being released on Clean Feed, a label operating within modern creative styles, which is perfect for the swinging avant-jazz adopted by the group. The session, recorded live at the Whistler in Chicago in the beginnings of 2016, opens with “Rhododendron” a frantic ear-catcher reared on the rhythms of Africa and steeped in the ways of jazz. Irresistibly groovy, this piece boasts a very identifiable melody that feels like an evocative chant, also featuring enthusiastic improvisations by Ulery, who sports a strong driving discernment, and Mazzarella, who vitaminizes his juicy solo with in/out incursions. Attractive rhythms of the same nature may be heard on “Ringdown”, a soulful levitation that vibrates with ecstasy and optimistic vitality. The tune, enhanced by the far-reaching timbres of Mazzarella’s alto and a pulsation à-la Art Ensemble of Chicago, embraces an uncompromising freebop that also recalls Thomas Chapin, Dewey Redman, and Henry Threadgill’s Air. Here, you’re allowed to dance effusively, jump like a spring, or scream like crazy. Engaging in an offbeat mood and fluctuating in tempo, the title track feels more connected with Ornette Coleman and Sam Rivers, starting with saxophone’s sinuous ups and downs accompanied by Ulery’s deviant bass notes and Cunningham’s tom and cymbal rides. The rhythm section intensifies the flow as Mazzarella’s redoubles the fervor of his speech, before embarking on an improvised section of their own. Consisting of two distinct passages, “Reminiscing”, is more pondered and abdicates from dancing. In the first passage, we have a slightly raucous sax expelling melancholic melodic lines with bowed bass in unison and brushed drums in the background. The second one includes a series of sax trills in a more abstract approach. Both “Solstice 63” and “Inflection Point” are avant-garde pieces whose acerbic nature is reflected in action-reaction movements of fine quality. The former, a rock-inflated churn punctuated by idle reflections, displays strong rhythmic figures on the theme and is boosted by logical ideas and patterned outbreaks, which are natural spin-offs of Mazzarella’s musical intuition. The latter tune closes the album in a kinetic, hard-swinging rampage, featuring lofty staccatos, intricate phrases, and a climactic drum solo. The raw energy felt on Triangulum stems from the adventurous nature of the musicians and their ability to understand the past while living in the present. This is a wholly digestive avant-garde session filled with creativity and passion for the genre.